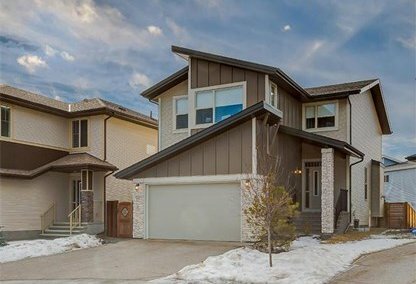 Browse today's newest Walden homes for sale in Calgary! Walden is a fast growing, housing community near the edge of the city and adjacent to the community of Chaparral. It's in the south zone of Calgary, Alberta, Canada. It is centered by the Macleod Trail on its west, the community of Legacy on its south, and Bow River Valley on its east. Discover the hottest Walden real estate for sale now! Schedule a guided home or condo tour with your Walden Calgary real estate agents today. Walden housing market statistics: As of April 25, 2019 there are currently 58 properties for sale in Walden listed as active, with an average asking price of $431,988. The highest-priced property is $845,000; the lowest priced property can be purchased for $189,900. Walden neighbourhood listings have an average price of $279 per square foot, based on listings with 2.8 bedrooms, 3.0 baths, and 1,594 square feet of living space. 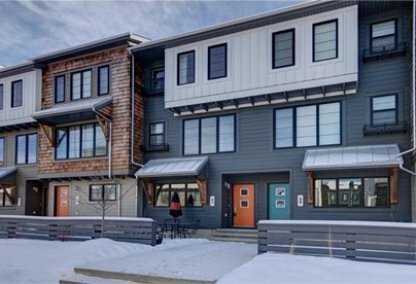 Looking to sell or buy a home in Walden Calgary? Call Justin Havre at RE/MAX First - 403.217.0003, your neighbourhood Calgary real estate team. We are Walden real estate agents and experts on the Walden housing market in Calgary. The Walden community spreads over 620 acres and is named after the novel by Henry David Thoreau. The idea behind this neighborhood is to have everything within the subdivision's own natural setting. It was officially approved by the Calgary City Council and developed by Genstar. Construction on the community started in 2008. Ward 14 Alderman Peter Demong represents it on the Calgary City Council. Once completed it is expected to house three villages, with a 160 acre park system and a golf course. It is graced by nature with glorious landscapes. There will definitely be quite a few tranquil open spaces, trees, and pathways that promote walking and biking. The neighbourhood plan also includes a clear-water pond and a lot of outdoor recreational delights. Dwelling areas will be comprised of condominiums, townhouses, semi-detached homes, and single-family buildings. The population based on 2009 records is 13,157, but the projected population is expected to reach 40,600. Exciting amenities within the Walden neighbourhood include athletic facilities like the Shawnessy YMCA and the South Fish Creek Recreation Centre. There will be plenty of parks near Walden real estate, such as Sicome Lake and Fish Creek Park. Various public golf course properties in the area will include the Blue Devil Golf Course and the McKenzie Meadows Golf Club. Shopping and groceries in the area will be convenient and easy with Safeway, the Calgary Co-op, Real Canadian Superstore, and Sobeys all within easy access. The Empire Studio 10 theatre is a great addition to all of these Walden homes for sale amenities. The closest neighbours of the community are Chaparral and Silverado. Looking to buy or sell a home in Walden Calgary? Let our team of expert real estate agents help you navigate the search for your next home and negotiate the sale of your existing home. As neighbourhood Walden real estate agents, we know the dynamics unique to the Walden real estate market. We'll help guide your search today! Contact Justin Havre at RE/MAX First - 403.217.0003 to find out more about buyer or seller representation. Selling your Walden home soon? Check out our free home evaluation, where you can view Calgary Homes Values online in minutes!